No matter where we go on vacation, the hotel is admittedly the destination we look forward to most. But all of that four-star luxuriating might be the reason why we often feel less than enthusiastic about returning to the daily grind. (Especially on a Monday. Ugh.) What is life really about, after all, without a Heavenly Bed to cozy up into every night? 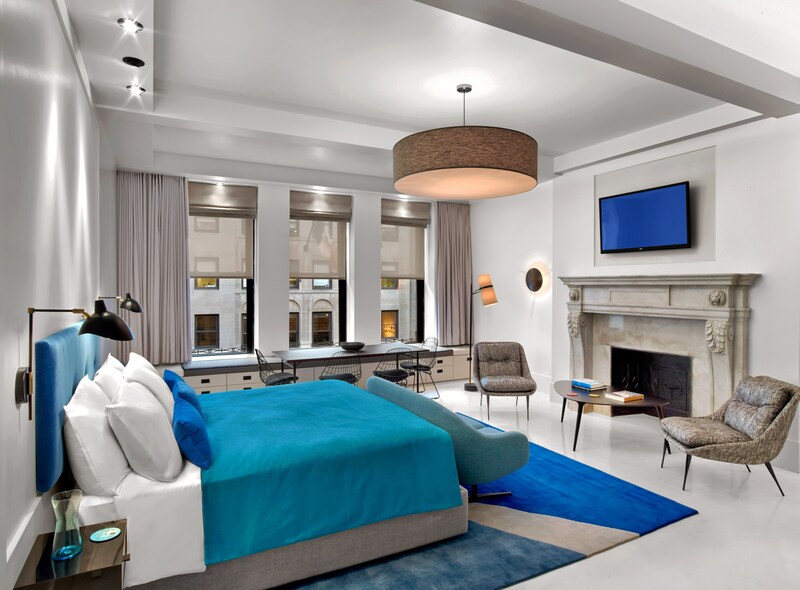 It's a question we've pondered spring break after spring break, and one we might finally be able to stop asking, thanks to a couple of designers who recently outfitted two swanky New York City hotels. Their answer? To bring the hotel experience home. Here are 10 ways to do it. 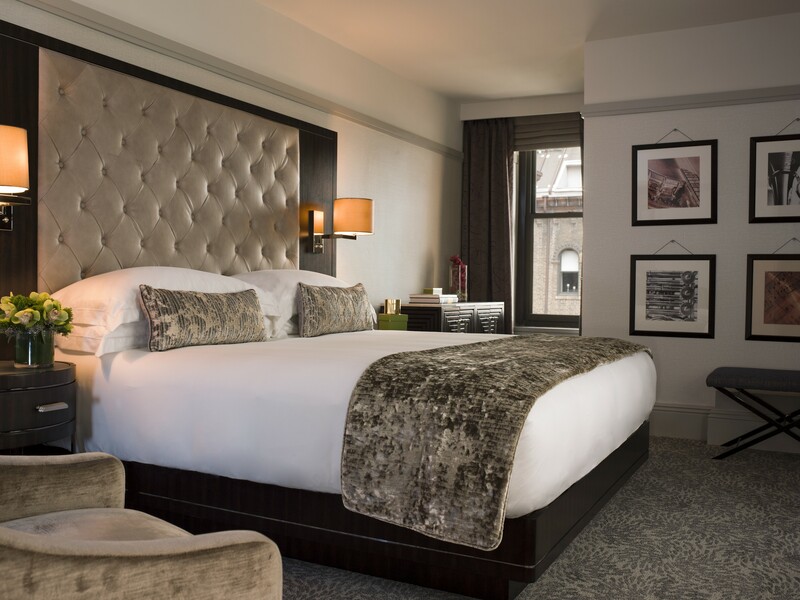 If the 1920s-inspired lobby at the WestHouse hotel in New York City isn't enough to have you packing your bags for a permanent stay, the entry to each guest room will. That's where designers from Jeffery Beers International (JBI) installed a small shelf to place keys and small items, and a small crystal chandelier similar to the grand chandeliers found downstairs. But while this hotel might have two shots at making a first impression, your home probably doesn't, so you're going to want to make that entryway count. No single item makes the hotel experience more than the bed. (Okay, room service is up there, but...) To achieve those ethereal layers of pillowy goodness (without going broke), JBI suggests skipping the pillow-top mattress and buying a featherbed instead. "A featherbed is much more economical and serves just as well for making you feel like you’re sleeping on a cloud," JBI designers say. The same goes for super-high thread count sheets. "The maximum you need is 300 to 400 [thread count]," though going higher is totally up to you. Layer two flat sheets over the mattress, sealing them with hospital corners the way most hotels do, add a few down pillows, which JBI says are best for adjusting to heat and body temperature and conform well to body curves, and finish it off with a soft and fluffy duvet. "Keeping organized and maximizing storage is important for maintaining a clean look in small spaces," JBI adds. Hotels have housekeeping to take care of that. For you, we have two words: Cleaning service. 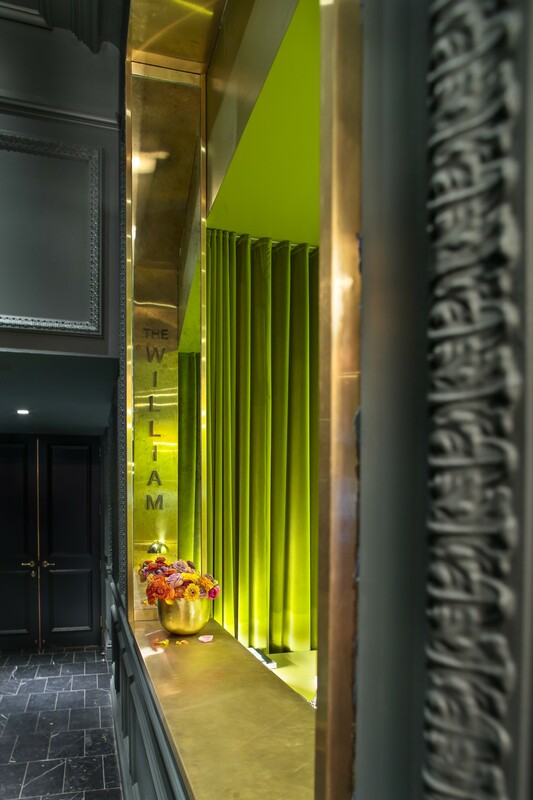 The design team at The William hotel -- a colorful extended-stay residence in New York City -- used space-saving floating drawers in lieu of bulkier bedside tables; JBI recommends finding furniture pieces that can serve multiple purposes, such as a desk that doubles as a dining room table. There's actually a reason for that mirror many designers like to hang right above the writing desk: "Strategically placed mirrors can make a small space look more expansive," JBI says. 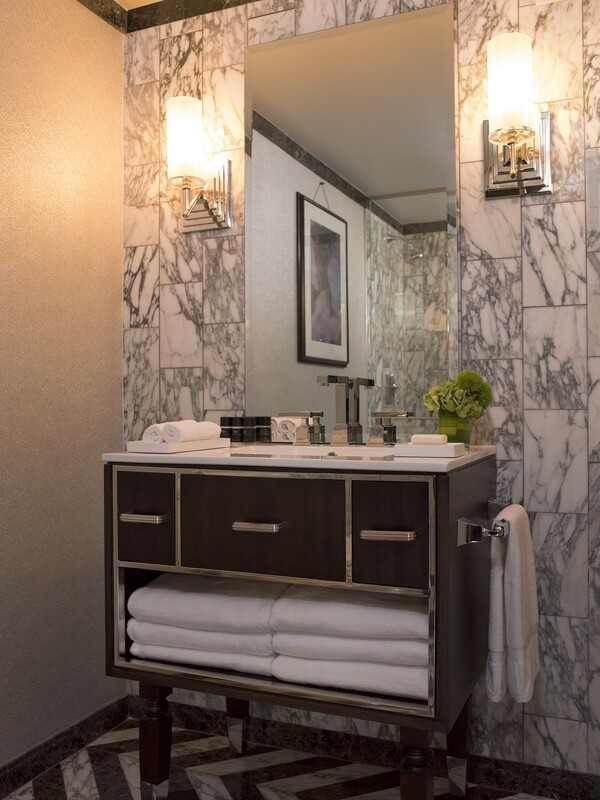 ...Like the fogless mirrors JBI installed at WestHouse, so "guests can shave and do their morning routine without leaving the shower." Another simple splurge: A small cutout in the shower door that lets guests turn on the water without getting wet. Or, a set of super-luxe oversized bath towels. 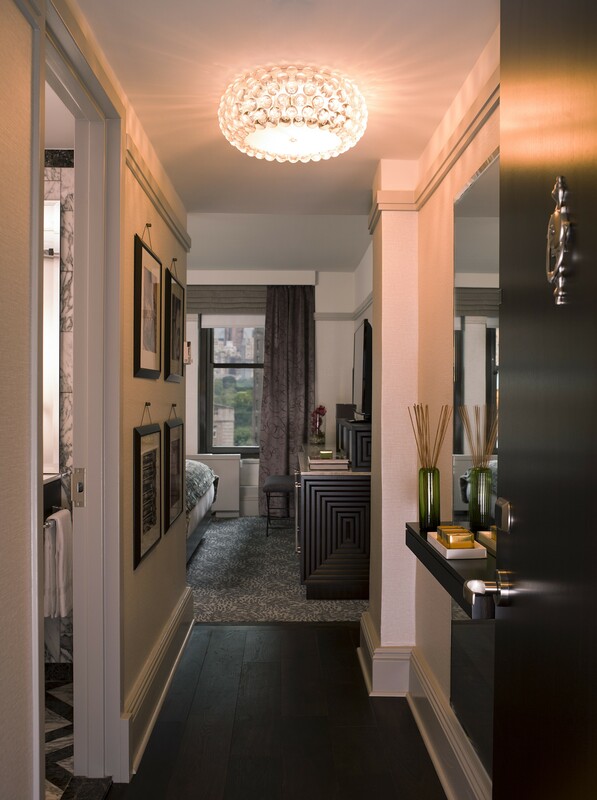 Room carpeting not only creates a clear delineation between the hardwood entrance foyer of the bedroom area at WestHouse, it also "sends a relaxing signal to the guest," JBI explains. Copy the design trick at home underneath a cluster of seating in the living room or under your bed. 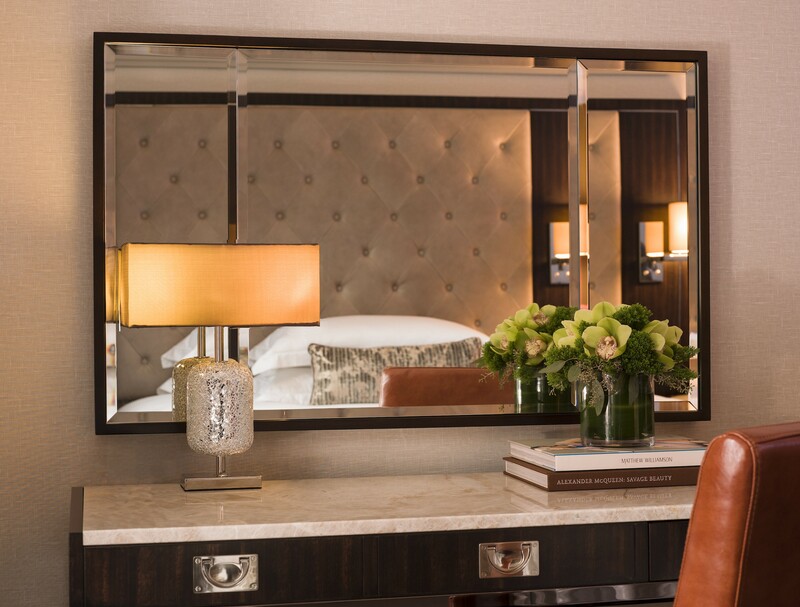 White floors at The William feel equally cozy and clean. Right there alongside a bellman to help you transport your bags, you'll almost always find a bouquet of fresh flowers in the lobby of a decent hotel. If you aren't lucky enough to live in this super-fancy Miami residence where management ensures that each unit is always filled with the owner’s favorite flowers, check out one of our new favorite sources for fresh blooms: Flower Muse. Fragrance gurus 12.29 and DayNa Decker are responsible for the woody, verdant aromas that greet you throughout WestHouse hotel; these seven spring scents would stand in just as well at home.